So a brief explanation on the giveaway; for years and years I’ve retweeted Canadian beauty editor Dave Lackie (go and follow him now if you don’t already!) where he tweets informative beauty tips and giveaways on luxury beauty products. 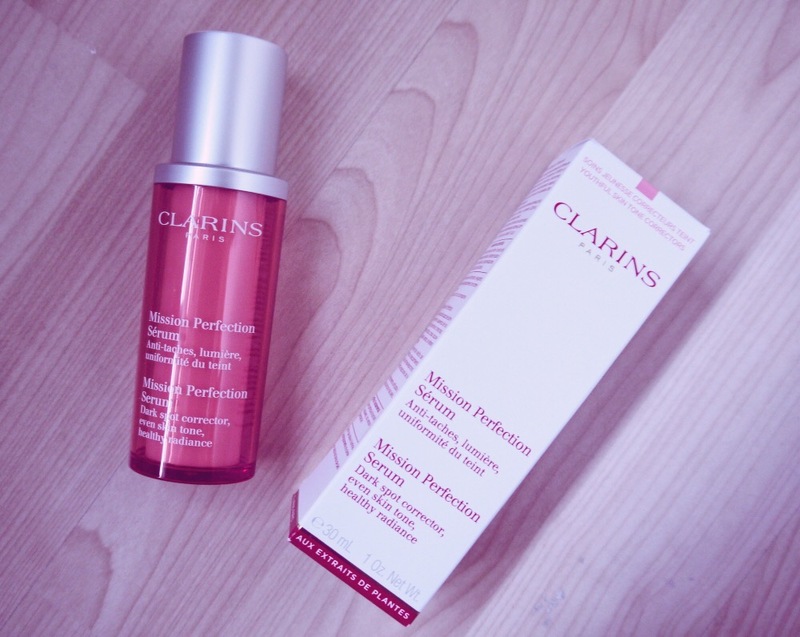 I was finally picked out of the hat and won a Clarins Mission Perfection Serum, a Clairefontaine Notebook and a Clarins Gloss Prodige in 06 Raspberry – retailing a total of around £75! The Gloss Prodige is beautifully presented; slim, elegant and classic, the packaging itself is enough to make me like this, let alone the product inside! (Yes, I’m a sucker for packaging like 99% of bloggers.) The glitter shimmering through the raspberry hue looks slightly off-putting, but fingers crossed this comes off subtly as opposed to a glitzy Edward Cullen in daylight. Pulling out the doe foot applicator reveals a lovely fruity scent that doesn’t smell artificial; it may not be for everyone, but to me it’s a delicious aroma that I’d eat if I could. These lip glosses claim lasting power, intense colour and a non-sticky formula; 3 things that are incredibly hard to find in a gloss. 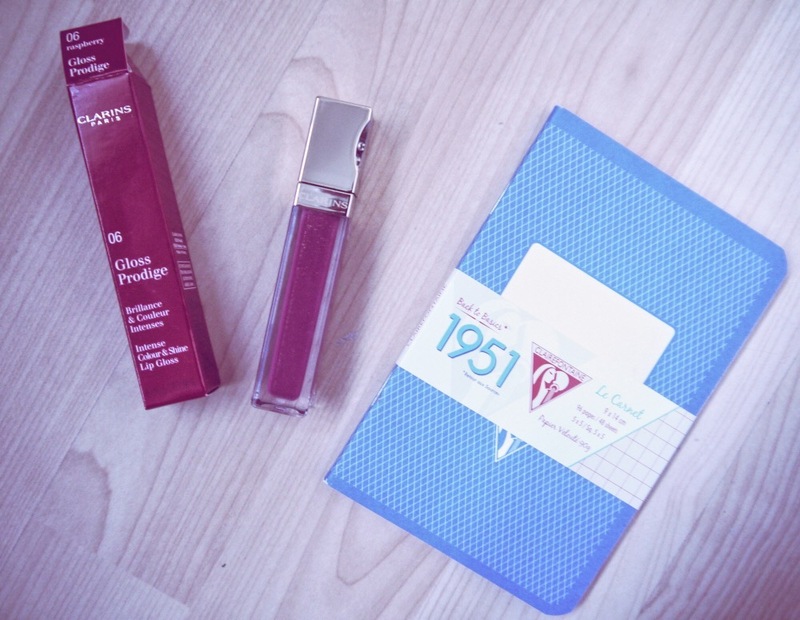 If you’ve tried the Clarins Gloss Prodiges, let me know in the comments below. The Mission Perfection Serum is the the product I’m most excited about; a dark spot corrector that also evens skin tone and gives a healthy radiance, this serum has some serious claims to live up to its £53 price tag. I’m still yet to find the perfect serum, and a serum with skin-illuminating properties is number one on my list. A skincare product claiming a ‘major scientific advancement’ is enough to make me think I’ll wake up with a new face; if you’ve tried the Mission Perfection Serum, I would love to know if this stuff actually works! And finally, the super cute extra that will fit nicely in my handbag; the Clairefontaine Notebook. I feel slightly French just owning this little notepad, and I’m fairly old-fashioned in my ways being that I much prefer writing things down rather than using my phone. So that was this week’s unusual post! If you like Clarins as a brand, let me know below as I’m considering my own giveaway!